Montana lost a conservation hero. Joseph Daniel Knarr was born on July 4, 1962 in Paradise, California to Robert and Deloris (Rodriguez) Knarr. Joe and his infant son, Daniel’s lives were taken in their home on March 11, 2016. Joe graduated from Paradise Senior High School in Paradise, California, and Humboldt State University with a Bachelor of Science in wildlife management. He attended the San Diego Sheriff’s academy and then went on to his career as a game warden. 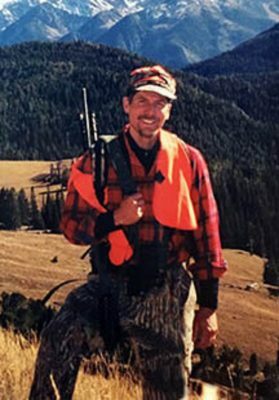 Joe worked for the California Fish and Game from 1984 to 1995 and then moved to Montana where he began his career with the Montana Fish, Wildlife and Parks, a job he loved. In 2002 he married Heather West and a year later had a beautiful daughter, Cooper. He treasured his little girl. In 2010 they divorced but remained friends. In 2014 Joe remarried and had a baby boy, Daniel in 2015. 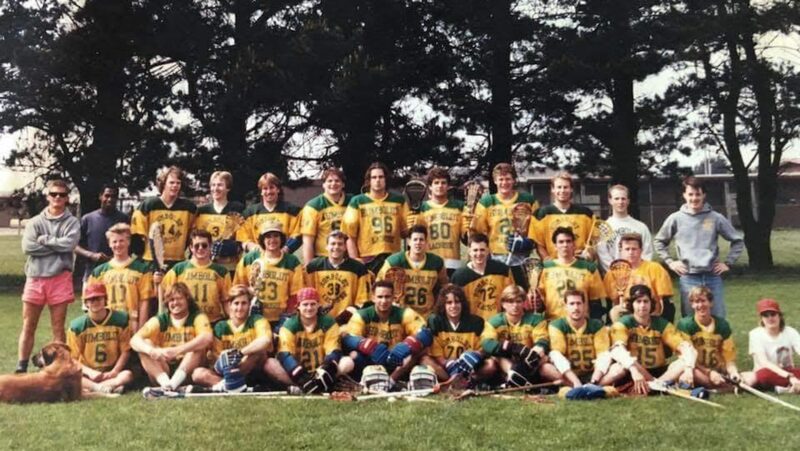 Growing up, Joe loved playing Little League baseball, high school football and college lacrosse. He learned to hunt and fish from his dad. One of Joe’s favorite things to do in high school was argue whose buck was bigger during hunting season with his buddies. His dream as a child was to grow up, move to Montana, become a game warden, fish every river that flowed, hunt every Thanksgiving morning and run, bike or ski each trail out there. If there was a moment of daylight to spare, Joe could be found searching for next season’s ultimate hunting spot, glassing the hillside for critters, exploring the mountains with his daughter or setting up a cool campsite by the lake with friends. One of Joe’s ultimate adventure goals was to visit all 50 states with his daughter, there are 39 remaining. Joe shared his enthusiasm for life with his daughter Cooper, taking her on her first hike at 7 days old and this year, her first elk hunt at age 12 (one of his proudest daddy moments of all). In between those years, Joe taught Cooper how to catch a big fish, shoot a rifle steady, how to hunt just like her daddy, how to be a humble athlete, find serenity in the mountains, get dirty, and above all else, be a kind and gentle soul. He only had 12 years to teach her all that, and he did. Being a father was his world. Joe was passionate about sharing the best of Montana with his family; taking them to his “secret” fishing hole, excited to take them to a new trail he found, sharing his “sweet” spot for a nice buck with his nephew and brother-in-law, finding an amazing area for his daughter’s first elk hunt last fall. Those lasting memories will be cherished for years to come. Joe was an amazingly good-natured dad, brother and uncle. Joe couldn’t wait for spring break, wanting to take his daughter somewhere adventurous and new each year. Joe coached his daughter Cooper’s softball team for many years. He loved helping out at Cooper’s school, Gallatin Gateway, throughout her elementary school years. He participated in many local running events. As a game warden, Joe, along with the Lady Fly Fishing Group spearheaded the “Adopt” a fishing access site to clean up our area fishing spots. Joe loved sharing his passion for wildlife in conjunction with teaching good stewardship skills to local Girl Scout Troops and area classrooms. Joe leaves behind his daughter, Cooper Knarr; sister, Trina (Mike Basse) Knarr-Basse; aunt Sandy George; nephews, Jack Basse, Jordan Jones, Cash Jones and niece, Savannah Jones. He also leaves behind his ex-wife, Heather West, her sister, Holly (Ryan) Jones, and her parents, Cathy and Ron West. Joe was predeceased in death by his parents, Bob and Deloris Knarr. Joe was the most honest, humble and loyal person. His family and friends meant the world to him. He would drop everything to help them. Joe was taken way too soon and will be missed by his family, friends, coworkers as well as the mountains, streams and wildlife that he chose to protect and preserve. Joe often collected quotes, but one was dearest to his heart: “Don’t let your fears get in the way of your dreams” (author unknown). Joe’s career kept him outside in the wild, right where his heart was. He lived his dream. Joseph Daniel Knarr, the mountains are calling and you must go. Memorial Services will be held April 4 at 10 a.m. at Grace Bible Church in Bozeman. A scholarship fund for Cooper Knarr has been established at Big Sky Western Bank in memory of Joe. Arrangements are in the care of Dokken-Nelson Funeral Service.